'The Prince of Gases' - Dr R.W. 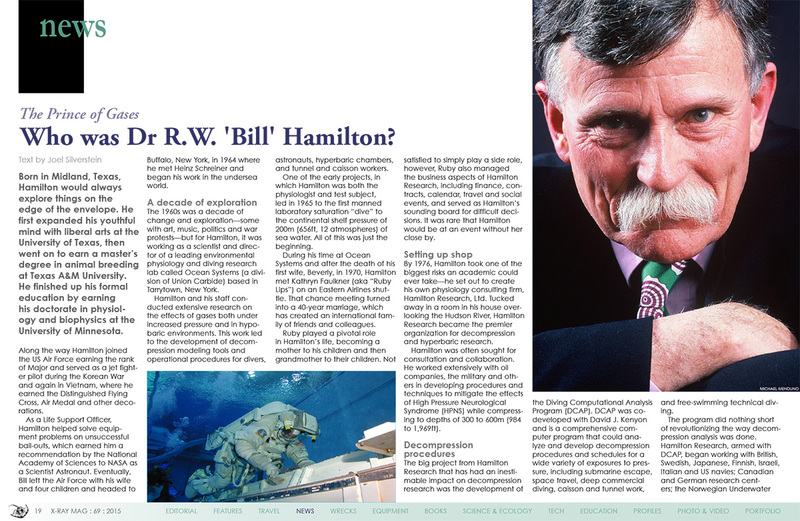 'Bill' Hamilton - was much respected by technical divers for his decompression research. 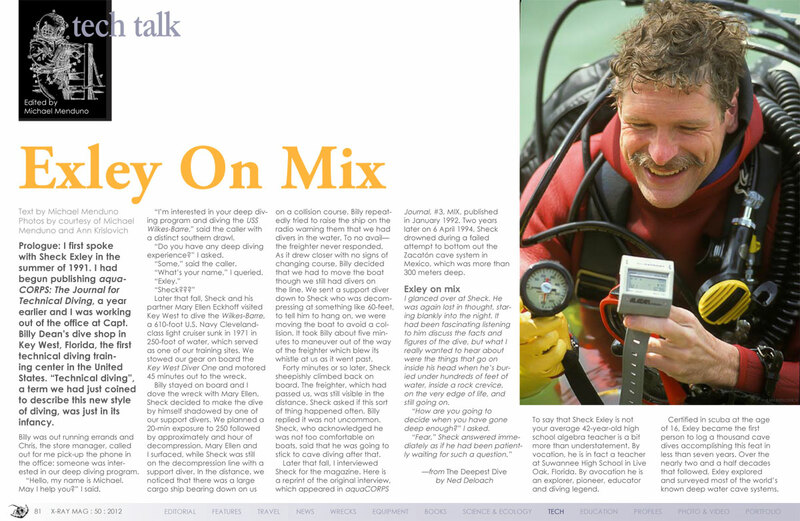 Hamilton worked with some interesting people, including cutting edge explorers such as Sheck Exley. However Hamilton, along with David J. Kenyon, was probably best known for co-developed the Diving Computational Analysis Program (DCAP). This computer program analysed and developed decompression procedures and schedules for a wide variety of exposures to pressure. 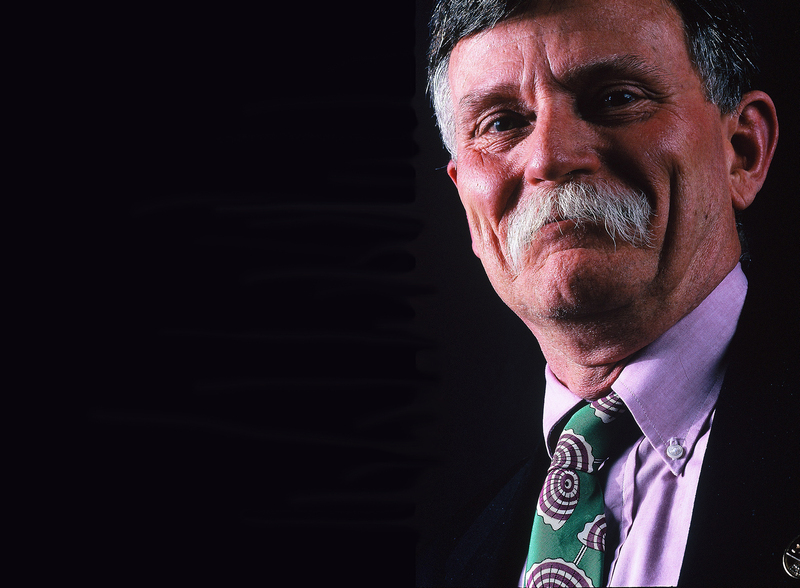 In November 2015 we published a tribute to Bill authored by Joel Silverstein. It ran alongside an announcement from the Women Divers Hall of Fame stating that a new DAN / R.W. ‘Bill’ Hamilton Research Grant was being launched. The deadline for applying for this year's grant is fast approaching and applications need to be submitted by 25 April 2018. Applicants can be involved in any aspect of the research, but the spirit of the program is to support projects closely related to Dr. Hamilton’s studies. The grant is open to applicants at any stage of their professional education or career, and recipients are required to present their results to DAN. To apply for the R.W. Hamilton Dive Medicine Research Grant, email your CV and a description of your research to Garrett Broyles. Applications already submitted need not be resubmitted. The grant will be presented at the Undersea and Hyperbaric Medical Society (UHMS) 2018 Annual Scientific Meeting in June.